Bundesliga | Schumacher: "If Modeste stays or goes remains to be seen"
Cologne's Harald Schumacher: "If Modeste stays or goes remains to be seen"
With the dust still settling on Cologne's stunning return to European football after a 25-year hiatus, bundesliga.com caught up with Harald 'Toni' Schumacher, the former Germany No.1 and now vice president of the club. bundesliga.com: During your own playing career Cologne often featured on the international stage [Schumacher made over 400 appearances for the Billy Goats between 1972 and 1987]. What does it mean to finish fifth and qualify for the UEFA Europa League today? Schumacher: We are developing and growing in every corner of the club. Five years ago we had sales of around 50 million euros. Today it is more than 100 million. Back then we had 53,000 members, now we have 92,000! Every executive box in the stadium and all the advertising billboards are completely sold out. And, above all, we have a wonderful team! However, I still maintain that finishing fifth is sensational. bundesliga.com: Fans' expectations have risen. Will this be a burden in the coming season? Schumacher: At the start of the season the team set themselves the goal of maintaining their Bundesliga status, and perhaps even improving on their ninth-place finish from the previous season. Now, we've finished fifth, which is incredible. But what should we tell the fans now? That we are only a small step away from the Champions League places? No. I believe the fans know that next season could be difficult. Of course we can dream. As long as we keep our feet on the ground. We know that we'll be very busy with the league, Europe, and with our players on international duty. The biggest strain will be mental. If you play against AC Milan, Fenerbahce or Arsenal on Wednesday and then three days later in the Bundesliga, this could cause a headache. The coach then has to be clear. For us, Freiburg and Augsburg are the German Milan. But I'm sure Peter Stöger can handle it. Schumacher: Just say it directly: they sacked me and I tore the red-tinted glasses from my face (laughs). It was quite bitter from both sides, and I was not allowed to become a member of the club. I have matured a lot since then, and when I was working as a TV analyst later or in any capacity with Cologne I always tried to give something back. Schumacher: You can see how immortal this love is! And when Werner Spinner [Cologne's president] asked me in April 2012 whether I would come back and help in this critical phase at Cologne, there was no other answer for me to give than "Yes!" 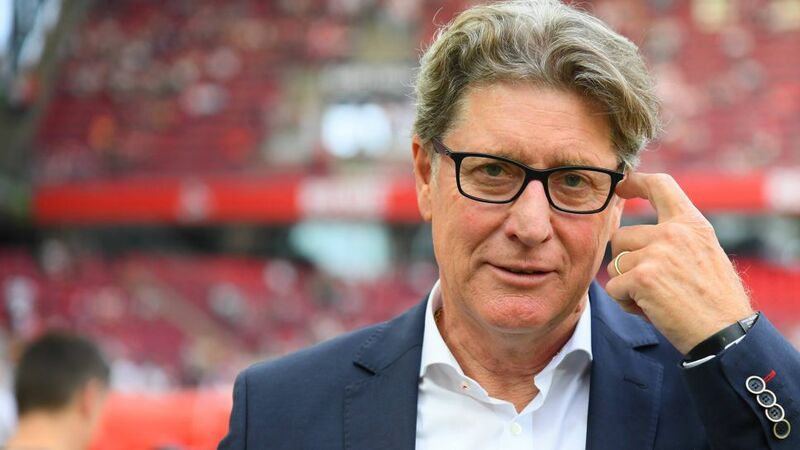 bundesliga.com: As vice president you have been with Cologne since 2012, when the club were in Bundesliga 2. Would you have thought then that just five years later Cologne would be playing in Europe for the first time in a quarter of a century? Schumacher: No. Even just a few months ago, it would have been presumptuous to count on fifth place. We got there in the end, though. On the final day, every result went in our favour. The most important thing was that we did our job and beat Mainz [2-0 at the RheinEnergieSTADION]. We knew that if we won we would play in Europe. The fact that our favourite neighbours Bayer Leverkusen beat Hertha Berlin 6-2 meant we qualified directly [for the UEFA Europa League group stage]- so thanks again to them! Folow the Bundesliga on Twitter by clicking here! bundesliga.com: Cologne's success has drawn many admiring glances, from coach Stöger to top scorer Modeste. How do you handle this? Schumacher: It is only natural that our success arouses interest. But I am old-fashioned and, therefore, convinced that contracts should be honoured by both sides. One of the biggest reasons for our recent success is that a lot of these players have been pulling in the same direction since being in the second tier. Today there are eight players in the squad who are from the area, which gives us a fantastic character. That's why I'm sure the core of the team will stay. Whether Tony [Modeste] fulfils his contract or receives an offer that he accepts remains to be seen. History is on our side, though. In February we successfully fended off a big-money offer from China. It would be the wrong sign for the team, the fans and the public if we'd sold our top scorer. And the distant dream of Europe may not have been achieved. bundesliga.com: What about the stadium? Schumacher: We have been here for a long time. If we want to remain successful we need to increase our capacity. We have already commissioned a feasibility study in cooperation with the city, and we'll get the results from that soon. If increasing the capacity in Müngersdorf [the region of Cologne that the RheinEnergieSTADION is in] is not possible, then we have to look at another solution. To ensure that the club is well positioned for the future is our only responsibility.